A lot of people have paved the way through the Internet marketing world, and built an industry that now employs thousands of people. They figured things out, found ways to work smarter, not harder, and when the solutions didn’t exist, they created them. As much as we all love innovation, there’s also a lot to be said for sticking with what works. Ross Hudgens is going to show you how you can build links the way the pros do. Ross’s presentation is subtitled “How to Steal Your Way to #1.” We’ll just call it imitate. He starts out by talking about his company and the Web properties they have. Every property is a unique experience. It’s impossible to generate a unique link building tactic for every site, so he steals. But there’s good theft and bad theft. These are his tips. How do you add value, repurpose content, and capture the market reach disconnect? Use hacker news to generate viral infographic ideas. The community likes programming, startup stuff, but also hates anything the SEO community does. They hate infographics and data visualizations when they sniff SEO purposes for them, including linkbait in general. Hacker News loves data and numbers, interesting stuff. They’ll upvote anything they find relevant and interesting. Find an article that has 100+ upvotes. Find an article that has a lot of links. Find an article that is relevant to your niche. Re-create the article as data visualization, and contact the original publisher so they’ll link to you and share it. Contact people that shared the original so they’ll share yours. Contact/seed the data visualization to a new audience. How do you replicate this process for you and your business? Browse Hacker News constantly. Check the “top” list. Verify inbound links to the primary articles matching upvote success if that’s your primary KPI (and not just traffic). You probably won’t find one of these instantly, or perhaps in over three months, but when you do, steal it! He found a site that created text, Wikipedia-level guides. These simple assets had generated almost 1,000 LRDs. Now he looks for that kind of content in other places, and he finds more and more targets every day. He’s gotten tons of links from it, with a cost of virtually zero. Just remember to give props to the people who have helped you. To learn from them, and so you can someday get rid of them. They had someone who got high quality links from news sites, but they were way too expensive to be sustainable. $300 – $600 per link on these news sites. They hired them, thought maybe they’d break even, learn the process, then fire them later. They noticed there was a guy who was paid to promote those sites, so they figured they could do the same thing. They found the footprint on the places where they posted. But the main thing they uncovered was the kind of sites where they were placing content. High quality sites like Huff Post, Wisebread, etc., that crowdsource content from other authors, but don’t pay those authors. They contacted the authors and offered them an incentive—to pay them for promotion. They hired an army of content writers like this. An incentivized, free rein army of content writers. Do this, and you can also have a lot of success. It’s a good way to generate traffic. A lot of SEOs aren’t really good at this, which he didn’t realize until he started doing PPC himself. Capitalize meta description text. There’s a reason why people pay a lot of money for them. It makes sense. Include phone numbers. You can get a lot more leads that way. They did it, and saw an almost 50% increase in leads. PPC title tags, CTR and relevancy. Title tags that stuff every KW imaginable in the hope of driving more visitors are bad. Good title tags have strong KW targeting and strong sales language. He saw a tweet about Zemanta. He started using it, and the business changed tremendously. It’s important to network and learn. Follow the right people on Twitter, in your same vertical, and capitalize on the good information they share. Maximize learning, steal from others, don’t miss a tweet. Curate tweets in a way that allows you to avoid missing the important stuff. All that matters is that you create great content. And by that he means, steal great content. Ross ends by saying his presentation was stolen from the book “Steal Like an Artist.” Hey, at least he’s honest about it, right?! 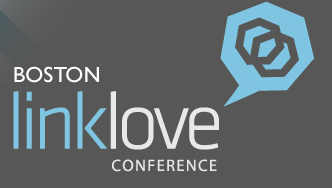 Be sure to catch all of our LinkLove Boston liveblogging coverage right here on the Outspoken Media blog!